A lot of my tableware has a figure of Daruma san as decoration. Used Tempura-oil is collected for reuse these days. kind of shakushi しゃくし【杓子】 ladle. They come with diffrent sizes of nets, for tempura or froth and scum on food etc. used for wrapping dishes and ingredients. ..... saibashi さいばし (菜箸) long chopsticks used for cooking and serving. for special hooroku dishes like horokuyaki. Old farmhouses use a large stove fired with wood.
. . . . . nukagama 糠釜（ぬかがま) stove fired with nuka rice bran. The stove is used outside in the garden. It keeps the temperature even for a long time and is best for cooking rice.. . . CLICK here for Photos ! Kitaoji Rosanjin A master of making pottery. Some are even served together with a wasabi root at special restaurants to grate them as you eat. They can be quite decorative, I have one in the form of a little turtle. 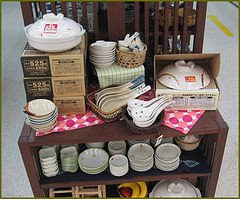 There are special ones, for example for stone salt 岩塩専用おろしがね.
. utsuwa 器 dishes, bowls, pots and plates . They are round or square or oblong, according to your barbeque set or grilling facilities. 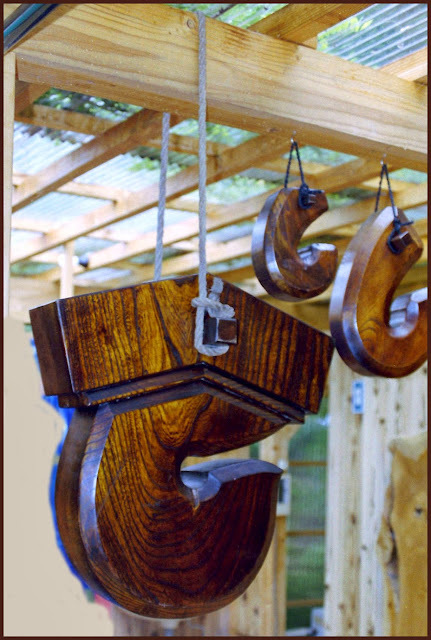 Some have two sides with a handle to squeeze fish or other food inside for easy turning. 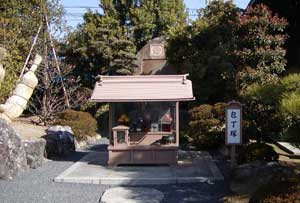 Mashiko is a small town in Tochigi Prefecture, but it is well known abroad through the famous potter Hamada Shoji. And through Yanagi Soetsu (Sooetsu) , who introduced the folk craft movement in Japan. "true beauty is not made ; it is born naturally"
The term mingei (folk art) was coined by Yanagi Soetsu (1889-1961) in 1926 to refer to common crafts that had been brushed aside and overlooked by the industrial revolution. Yanagi's book "The Unknown Craftsman" has since become a classic. Like many of the great Japanese ceramic traditions of Western Japan, Hagi originated with Korean potters. Indeed, in the Momoyama era (1573-1603) and in the early years of the Edo period (1603 - 1867), ceramics like Karatsu, Agano, Satsuma and Takatori first saw their wheels set in motion when, willingly or not, Korean potters were brought back to Japan in the "pottery wars" of 1592 and 1597-98.
was the most well-known folk art ceramist of the 20th century. He studied under ITAYA Hazan and began a lifelong friendship with KAWAI Kanjiro when he was still in high school. Later on he befriended English potter Bernard Leach and philosopher YANAGI Soetsu; they started the folk art movement together. HAMADA established his studio in Mashiko, Tochigi prefecture, and his mingei works have been held in the highest esteem in Japan as well as abroad. Hamada was designated a Living National Treasure in 1955. The pottery town of Mashiko has seen a lot of destruction from the earthquake on March 11, 2011. Some important pieces by Hamada Shoji have fallen down and are now in sherds. The perks and pressures of being the child of someone famous can be enormous -- doubly so if following in the family footsteps. In Japan, with its grand artistic traditions, this is not an uncommon phenomenon. The results, though, range across a broad spectrum, from glory (not always deserved -- think of political dynasties), to competency (often bringing wealth and fame anyway), or derivation (mere imitation that finds a market only thanks to the family's "brand name"). Shoji Hamada (1894-1978) was a founding member of the Mingei movement, a living national treasure and the person who saved Mashiko pottery from extinction when he settled there in 1924. It's even been said that much of what gets produced in Mashiko these days shouldn't be called Mashiko-yaki, but Hamada-yaki! That may be pushing it too far, but it certainly shows the tremendous and unending influence this sophisticated "country" potter had on Mashiko. 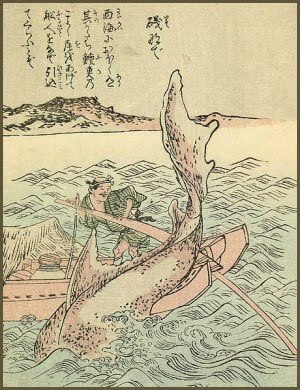 His son Shinsaku followed in the family trade and became a solid, gracious potter, yet never had the smack of genius that dad possessed. Hamada's top apprentice, the living national treasure Tatsuzo Shimaoka, found fame with a simple rope pattern that really had nothing to do with Mashiko, though he is a wonderful Mashiko-based potter. Now, though, the winds of fortune are shifting. A new Hamada, Shoji's grandson and Shinsaku's second son, Tomoo (1967-), is creating a new style of Mashiko. Anyway, I have a tea bowl for green powdered tea (chawan) in my collection, which was (probably) made by Hamada when he was staying in Hagi for a while on his way to Okinawa to study Hagi Pottery. The bowl is 8 cm high and has a diameter of 13,5 cm, the foot 5 cm. It is hand-signed and has a stamp mark (asahi 朝日). at the village of Uji. The painting of Daruma is very simple, almost as if painted by a child. The pot feels pretty un-used, as if it had been on a shelf for all its life. With the help of Robert we figured, this was not HAGI and most probably not Hamada. But behold, read to the end. I moved to Mashiko from Minnesota to study with Hamada's student Tatsuzo Shimaoka. I apprenticed with Shimaoka for 3 years. Teacups, rice bowls (夫婦茶碗　meotojawan, meoto wan) and other itmes in tandem for husband and wife are quite common and often a present for a wedding. Read the story about the Takasago legend below. The pieces for the husband are usually a bit larger. They may be of the same color or different colors and slightly different patterns. chopsticks with 8 corners, from Edo. They are so good you can hold a piece of tofu without dropping it. Even now, they are made carefully by hand. Japanese washi paper, folded and tucked inside the front of one's kimono, especially for use at the tea ceremony. It comes in a pad folded in half. It was kept in the overlap of the kimono.
. . . CLICK here for KAISHI Photos !
. . . CLICK here for KAISHI IRE pouches Photos ! A general term for paper used in the tea ceremony which is tucked in the front of the kimono. Used to clean the fingers after wiping the tea bowl, or used as a plate for cakes or sweets served during the ceremony. 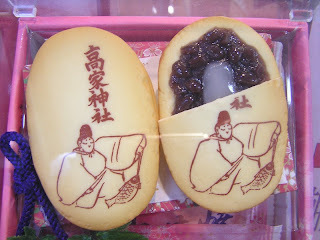 Kurasuyama kaishi is famous and is used by the Imperial household. 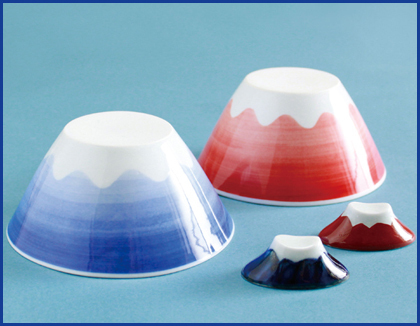 Kaishi (Japanese paper) is used as a mat to put sweets on, or to wipe the edge of the bowl one has sipped from. People fold and tuck it inside the front or in the sleeve of their kimono at tea ceremonies. However, tea ceremonies are not only occasion to use kaishi. 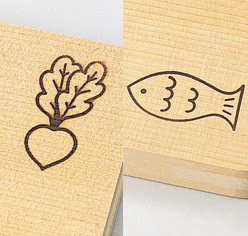 You can use it to decorate tables or plates, or as note paper. Nowadays, common kaishi is mass manufactured by machines, but this kaishi is traditional handmade Japanese paper. It is a technical challenge to make it so thin. You can almost see though it. It has a natural pulp fiber pattern similar to Japanese classic paper. It is reminiscent of shoji-paper on paper panel doors in a traditional Japanese house. Using premium handmade kaishi is a sign of sophistication, and perfect for tea ceremonies. The origins of Mino paper are believed to lie in the Nara period (710-794). 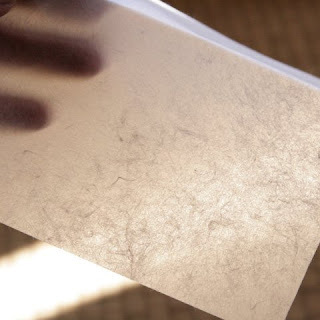 It is produced by the nagashisuki or tossing method, much like the majority of Japan's handmade paper. This method weaves the fibers extremely tight, resulting in thin but durable paper not unlike cloth. Mino paper is often used in arts such as painting and calligraphy, as well as making gold leaves. It is also good for sliding paper screens often found in Japanese homes. There are 14 Master Craftsmen across 28 firms recognized for their skill and talent for producing Mino paper.
. Tomobata Flag Festival . hatsu kaishi 初懐紙（はつかいし）"first kaishi paper"
first writing of a haiku (or other poems) on the thin Japanese folded kaishi paper. Japanese food takes pride it the various ways food is cut for presentation. There are more than 50 types of knives for different occasions. Even in a normal family kitchen, there is a rag for many different types of knives which the housewife needs for cutting. 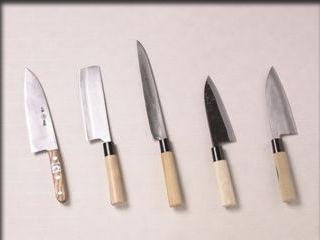 There are a number of different types of Japanese kitchen knives. The most commonly used types in the Japanese kitchen are the deba bocho (kitchen cleaver. robustes Hack- und Wiegemesser ), the santoku hocho (all-purpose utility knife. 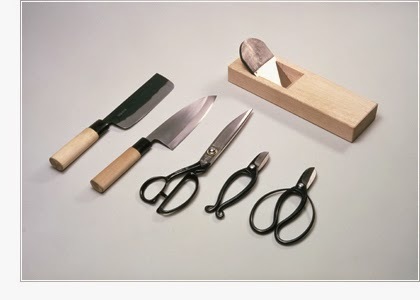 Allzweckmesser), the nakiri bocho and usuba hocho (Japanese vegetable knives), and the tako hiki 蛸引包丁 and yanagi ba, yanagiba (sashimi slicers. Filetiermesser für Sashimi). Different from western knives, Japanese knives are often single ground, i.e. sharpened in such a way that only one side holds the cutting edge. As shown in the image, some Japanese knives are angled from both sides, and others are angled only from one side, with the other side of the blade being flat. It was originally believed that a blade angled only on one side cuts better and makes cleaner cuts, though requiring more skill in its use than a blade with a double-beveled edge. Usually, the right hand side of the blade is angled, as most people use the knife with their right hand, with ratios ranging from 70-30 for the average chef's knife, to 90-10 for professional sushi chef knives; left-handed models are rare, and must be specially ordered and custom made. Since the end of World War II, Western style double-beveled edged knives have become much more popular in Japan, the best example being that of the Santoku, a Japanese adaptation of the gyuto, the French chef's knife. While these knives are usually honed and sharpened on both sides, their blades are still given Japanese-style acute-angle cutting edges along with a very hard temper to increase cutting ability. Professional Japanese cooks usually own their personal set of knives, which are not used by other cooks. Some cooks even own two sets of knives, which they use alternatively each other day. After sharpening a carbon-steel knife in the evening after use, the user normally lets the knife 'rest' for a day to restore its patina and remove any metallic odour or taste that might otherwise be passed on to the food. Sakai near Osaka is a famous area for producing kitchen knives. bunka bocho, bunka boochoo 文化包丁　"culture knife"
. . . CLICK here for Photos from a knife shop ! The oroshi hocho is the longer blade with a blade length of 150 cm (60 inches) in addition to a 30 cm (12 inch) handle, and can fillet a tuna in a single cut, although usually two to three people are needed to handle the knife and the tuna. The flexible blade is curved to the shape of the spine to minimize the amount of meat remaining on the tuna chassis. The hancho hocho is the shorter blade with a length of around 100 cm (39 inches) in addition to the handle. The hancho hocho is also sometimes called a maguro kiri ( マグロ切, "tuna-cutter"). They are commonly found at wholesale fish markets in Japan, the largest of which is the Tsukiji fish market in Tokyo. They may also be found at very large restaurants, but they are not found in the regular Japanese kitchen, unless there is a frequent need to fillet tuna with a weight of 200 kg (440 pounds) or more.
. . . CLICK here for Photos : マグロ包丁 Maguro Knife! soba boochoo, 蕎麦包丁 to cut buckwheat noodles. It weighs about 1 kg to facilitate rythmical cutting of the noodles. Cutting buckwheat noodles, sobakiri 蕎麦切り is a difficult job. 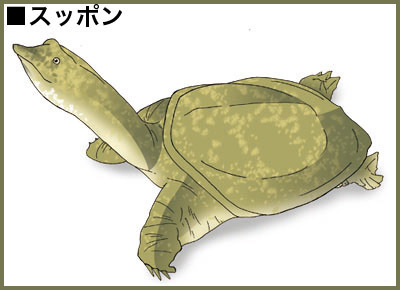 It is used in the Kanto area with a rectangular end. ikejime いけじめ / 活けじめ / ikijime (活き締め / 生き締め /活〆) a method of preparing fish. It involves making a cut just above the tail and then the insertion of a spike quickly and directly into the hind brain thereby causing immediate brain death. A fish brain is usually located slightly behind and above the eye. When spiked correctly, the fish fins flare and the fish relaxes, immediately ceasing all motion. The blood contained in the fish flesh retracts to the gut cavity, which produces a better coloured and flavoured fillet. If fish suffer pain, then this method seems to minimize the pain. Ike Jime has been successfully used manually in the tuna and yellowtail industries along with limited use in sport and gamefishing, and provides a rapid slaughter technique with concurrent quality benefits. Rather than cutting their throats and leaving them to die by bleeding, research indicates it is better to use ike jime and put the fish straight into an ice slurry. Fish being exported to Japan and certain other markets should not be allowed to die naturally, but should be killed immediately after being brought on board by using Ike Jime method. The traditional blade is quite different from its Western knives. First, it is a hand laminated blade with a very hard steel face (Rc62 to Rc64) laminated to a wrought-iron back. The use of very hard steel requires the soft back both for the damping qualities and to provide an element of toughness that the steel face alone would not have. Second, a traditional Japanese knife has a hollow face for faster sharpening and to make it easier to maintain flatness. Handed down since the Heian period with elaborate rituals. He was the founder of the Shijoo school of kitchen knives users (chefs), 四条流庖丁式の創始者, uniting the rituals performed at Shinto Shrines for the Deity Iwakamutsukari no Mikoto 磐鹿六雁命 initiated by 末裔高橋氏 . 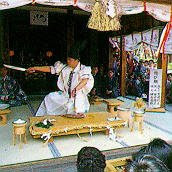 Founder of the ceremony for the use of kitchen knives, ritual of the kitchen knife. Yamakage-style kitchen knife wielding was later named after him. Yamakage ryuu Hoochoo shiki 山陰流包丁式, this is the most famous cooking tradtion of itamae cooks handed down till now. Performed on April 18 at the temple Soji-Ji (Soojiji 総持寺) Nr. 22 on the Saigoku Pilgrimage to 33 Kannon-Temples. As a child, Yamakage has been saved by Kannon from a deathly peril and this temple is often visited by mothers. It also never burned down and this Kannon is therefore good for praying from fire protection (hiyoke Kannon). Yamakage was a famous cook, famous for his use of the kitchen knife. He cooked for the sculptor for 1000 days while he carved the Kannon statue. During the "Knife Ceremony" special cuts are performed on fish lying on a manaita cutting block. Outside in the garden is a "mound of kitchen knives" (hoochoozuka　包丁塚). Shrine Yoshida Jinja was founded when Fujiwara Yamakage enshrined the guardian God of the Heian Capital here in 859 A.D. There is another hoochoo shiki in Chiba prefecture. Toward the end of the Yayoi period, the story of Iwakamutsukari no Mikoto, the first-ever kitchen chef, is told in the Nihon-shoki chronicles of Japan. The 12th emperor, Emperor Keikou 景行天皇, visited Awa no miya 安房の浮宮 to pay his respects to the late imperial prince Yamato Takeru no Mikoto. There he was presented with a dish called "Umugi no Namasu 白蛤の膾（うむぎのなます）" (clams, or in some versions, abalone or katsuo bonito). He liked this dish and gave the cook the surname Kashiwade no Omi 膳臣（かしわでのおみ） and appointed him to Kashiwade no Otomobe to be his chef. This first cooking chef was enshrined as the god of cooking at Takabe Shrine in Chiba.
. . . CLICK here for Photos of Takabe Shrine and the Knife Ritual! Click on the other video provided on the left side for more. The word "kappoo 割烹" or cuisine contains the real meaning of Japanese cooking. It is made up of the character "katsu," which means "to cut 割," and "hoo 烹," which means "to boil." There are a number of different types of Japanese kitchen knives. The most commonly used types in the Japanese kitchen are the deba bocho (kitchen cleaver), nakiri bocho and usuba bocho (Japanese vegetable knives), and the tako hiki and yanagi ba (sashimi slicers). Different from western knives, Japanese knives are often forged in a way that only one side holds the cutting edge, i.e. the bevel is only on one side.
. Knives from Echizen .
. Kumamoto Folk Art and Craft - 熊本県　. Passed down for more than 500 years, Kawajiri knives trace their origins to swordsmith Naminohira Yukiyasu, who lived during the Muromachi Period (1336-1573). In the Edo Period (1603-1868), the area’s ruling Hosokawa family emphasized Kawajiri as a center of development, resulting in the cultivation of crafts such as shipbuilding, woodworking and sword-making, many of which have been passed on to this day. 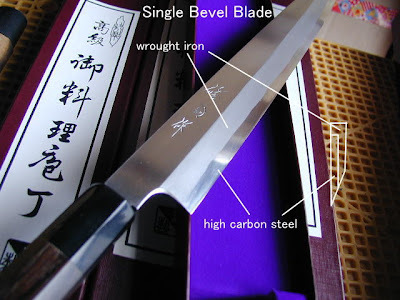 Kawajiri blades are characterized by a manufacturing method known as warikomi-tanzo, or cut-in forging, which is still used today. High quality steel is inserted into a base metal known as goku-nantetsu, or extra-soft iron, and thoroughly tempered by hand. The blades made using this method are sharp, durable, and have a dignified beauty. It’s said that it takes at least 10 years to master this technique and become a sword-smith. Prior to World War 2, Kawajiri knives were manufactured in about 50 shops, but as of 2013, just two smithies take on the entire manufacturing process. However, their high quality still boasts a strong brand power, and requests are made from throughout Japan. Kawajiri thrived as a trading port from its early days, and various crafts, including Kawajiri knives, have been passed down to modern times. Visitors can find numerous traditional crafts represented in the Kawajiri shopping district, with demonstrations of knife-forging presented at the Kumamoto City Handcrafts Promotion Center located right in the area. 1- During forge welding, borax is inserted between the ferrite and steel portions of the workpiece, then the materials are heated to approximately 900°C (1,652°F) and swiftly struck with a hammer in order to combine them. Care must be taken to avoid overheating the materials, as doing so may result in loss of steel content. 2- Following heating in the forge, annealing is achieved by placing the workpiece in coal dust or straw ashes and allowing it to cool naturally. 3- During quenching, a workpiece that has been heated in the forge to approximately 800°C (1,472°F) until it glows uniformly red is quickly cooled through submersion in water, this increases the blade's hardness. 4- Following quenching, the blade is heated again at a low temperature in the forge to temper it while the craftsman monitors its surface appearance. This imparts suitable toughness to the blade. According to the Nihon Shoki, one of the oldest and most important chronicles of Japanese history, blacksmithing was first carried out in Japan in 583, when smiths were invited to Japan from the Korean Silla Kingdom during the reign of the Emperor Bidatsu 敏達 (the 30th emperor of Japan, reigned 572-585). The Japanese supposedly learned how to forge steel from these visiting smiths. Swordsmiths appeared as the samurai class rose to power. These craftsmen steadily improved their skills, eventually devising a method of forming blades with soft iron and attaching steel along the cutting edges. This created the soft yet sharp-cutting blades that are unique to Japan. After Tokugawa Ieyasu established the Edo Shogunate in 1603, merchants moved to Edo from all over Japan. The names of metal casters and forging experts were also recorded among the lists of craftsmen who served the Shogunate. The Edokanoko, one of the most informative general guidebooks to the city of the Edo Period, has a description about blacksmithing in relation to blades. It lists craftsmen who offered pointed carving knives (deba-bocho) that were formed through hammering. The guidebook tells us that swordsmiths also produced razors, kitchen knives and other bladed implements in addition to their main trade in swords. Japan enjoyed a period of peace from the mid-Edo Period onward. During this time, an increasing number of swordsmiths changed their production focus, utilizing their smithing techniques to create the implements and blades needed for everyday life. In other words, many of them transformed themselves into town blacksmiths. Following the fall of the Edo Shogunate and the Sword Abolishment Act of 1871, which prohibited ordinary people from carrying weapons, most of the remaining swordsmiths were forced to start making commercial and kitchen implements. They responded to the nation's Westernization (known as bunmei kaika, "the civilization and enlightenment movement") by applying their inherited skills to the manufacture of Western-style blades.
. Echizen uchi-hamono 越前打刃物 cutlery, hand-forged blades from Echizen .
. Tsuru no hoochoo 鶴の包丁 "cutting a crane" .